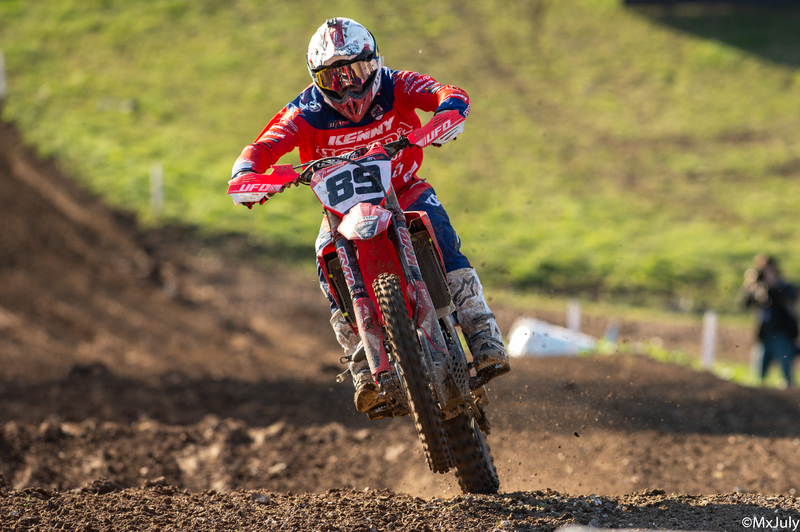 This weekend we had the fourth round of the 2019 FIM Motocross World Championship in Pietramurata, Italy. This wonderfull track against the Dolomite Mountains and amazing surroundings, will also host the first Italian round of three this season. Jeremy rode his Honda SR Motoblouz after a bad start from a twentieth place to a tenth place in the qualifying race on saturday. The races on sunday didn’t go as expected. The start of the first race didn’t start well for our Honda SR Motoblouz rider and came by at a thirteenth place in the first lap. After having found the right pace, he could pass Paturel, Desalle and Jonass in the following laps and end the race in tenth place after a impressive come back. Gasjer won the race in front of home rider Cairoli and Paulin. Also in the second race Jeremy had a bad start and had to come back from behind. He could ride from 27th place to a 14th place. Half way through the race he made a crash and DNF in the second race. Gasjer won also de second race in front of Cairoli and Paulin. Jeremy remains fifth in the world championship standing. Now we get a five weeks break until the next round in Italy.